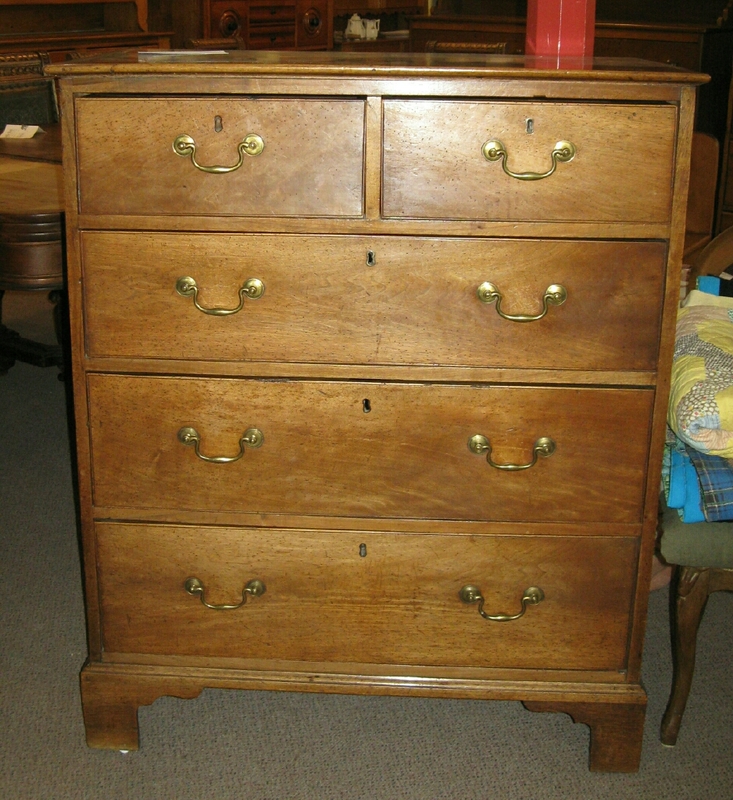 Outstanding early walnut British chest of drawers. The size is 37 inches wide by 21 deep by 46 inches tall. Circa 1800.